The Leviathan Raid was the first full Raid mission to hit Destiny 2 back in 2017, and it's still hanging around to be completed right now. In this Destiny 2 Leviathan Raid guide, we'll be providing you with the complete Destiny 2 Leviathan Raid walkthrough, so you're never lost no matter what challenge the mission throws at you. 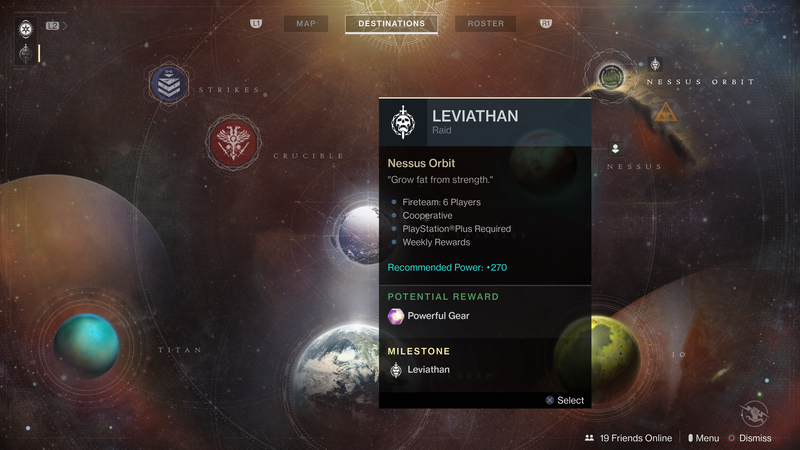 If you instead need anything else on the Destiny 2 Leviathan Raid, for example how to properly make sure you're prepared to undertake the challenge before heading into Nessus orbit, head over to our Destiny 2 guides walkthrough hub. 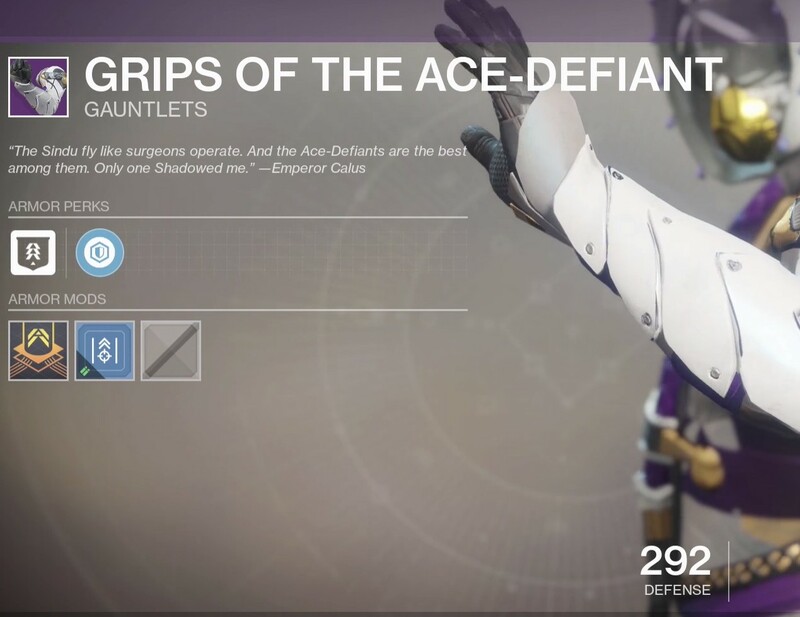 Previously, Bungie stated that Guided Games would be available well after the launch of the Leviathan Raid, at some point in 2017. However, since the new Last Wish Raid has arrived in Destiny 2, Guided Games appears to no longer work for the Leviathan Raid. Now that the Raid is officially live, you can fire up the Director (once you've assembled your Fireteam of 6 players), and head into the Nessus orbit area, where you're challenged to take down the Cabal Emperor Calus. The Destiny 2 Leviathan Raid is designed to test every aspect of players' knowledge about the game, so for a start, make sure you've obviously brought your best equipment with you, as well as weapons that inflict Solar, Arc, and Void damage. Once you've initiated the Destiny 2 Leviathan Raid, you'll find yourself on a long walkway leading to what looks like a grand castle. Ignore all the enemies around here, since although you can fight them, they're little more than distractions, and head inside using the pathway to the right of the giant door. The Destiny 2 Leviathan Raid actually does have a checkpoint system, although it isn't one that's made immediately obvious upon trying it out for the first time. If your Fireteam were to exit out into a social hub area from, say, the Pleasure Gardens area, they would have to undertake the opening Castellum level of the Raid again. After this, however, they would be put back in the Pleasure Gardens section, skipping out the Royal Pools area as they already beat it on the previous attempt at the Raid. It's definitely not a system that you're made privy to, as it seems like you're going to have to redo the entire Raid when you first head back into Leviathan, but it's definitely a checkpointing system of sorts. In the first challenging section of the Leviathan Raid, you'll find yourself in a large, open area, so continue straight ahead and you'll find yourself standing on an area with the outlines of three banners, all of which you now have to collect. The Cabal troops are now openly hostile to your Fireteam as well. At this point in the Destiny 2 Leviathan Raid, you'll have to split up into two teams. 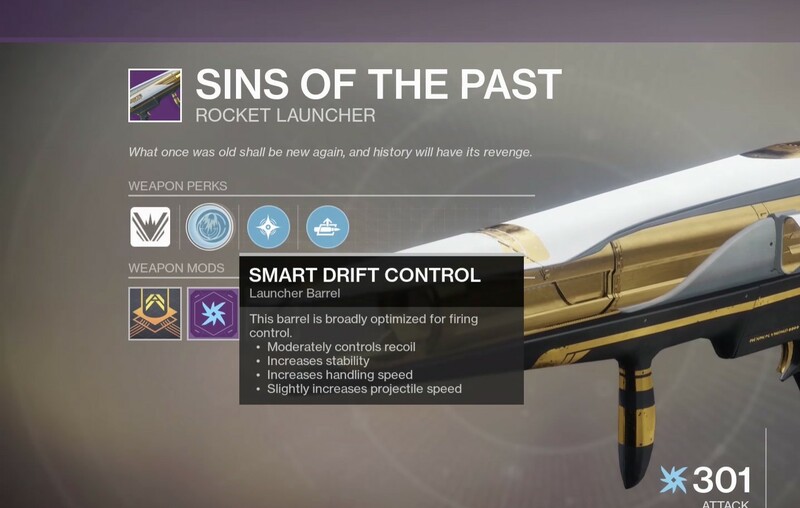 We'd recommend having four players from your Fireteam hang back and defend the point with the vacant banners, while two players go out and find the three Standard Bearer enemies, killing them and taking the banners that spawn in their wake. Once you've got hold of one of these banners, you'll need to take it back to the base, and put it into the relevant slot. As soon as you've claimed the first banner, hordes of Cabal troops will begin coming for the four Fireteam players that are defending the base. Should the more powerful Cabal troops make it to the base, they'll steal back one of the banners, making your team repeat the whole process over again. This is why it's vital that four players hang back and defend the claimed banners, while two players head off to deal with the Standard Bearers and the banners that they protect. 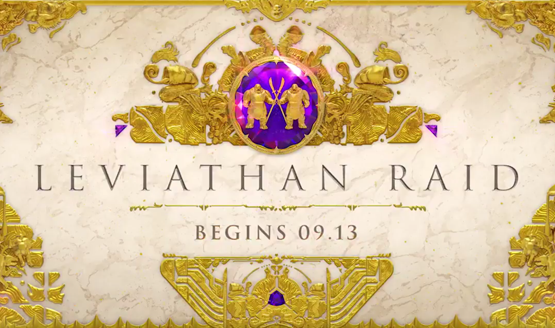 Once your Fireteam has successfully claimed all three banners, a door will open up behind you, and you'll be able to claim the first Leviathan Raid loot chest, as well as advancing to the next area. In the second area of the Destiny 2 Leviathan Raid, you'll find four pressure plates in the four corners of this area, with a fifth one located in the middle. The middle pressure plate gives players a buff called Psionic Protection, which prevents you from taking damage from the water around the arena for roughly fifty seconds. To start this challenge, you'll need four Fireteam members to stand on the four plates, and this will cause hordes of enemies to start spawning. You'll want the four players to remain where they are on their pressure plates, and have two players running around the arena, helping out where they're needed. A Ceremonial Bather will spawn at each pressure plate, and you should focus your fire on taking out these tough enemies immediately, not moving off your pressure plate if you can help it. Basically, all four players need to stand on their pressure plates until a series of lanterns emerge in the arena, which you should then destroy as quickly as possible to conclude the Royal Pools area. If you can't destroy the lanterns in one go, you'll need to repeat the entire process again before you get another shot at them. The third trial in the Destiny 2 Leviathan Raid is significantly harder than the previous two, and you're about the find out why. First off, kill all the enemies when you make it into the Pleasure Gardens, and head to the large statue. Two Fireteam members should now pick up the orbs located there, and charge them using the light. Once this is done, an opening will appear near the statue, and all other Fireteam players can go pick up the pollen located inside. Now, you'll need to make your way towards the flowers, but taking care not to get spotted by any of the Royal Beasts patrolling the area. So, use the two players holding the orbs to guide the players holding the pollen towards the flowers, taking care to avoid all the Royal Beasts, and once you're there, use the players holding the orbs to attack the flowers, causing them to power up. Once suitably powered up, the players with the pollen should all now converge on one Royal Beast, and lay into it. However, doing this will start a countdown, which will cause your Fireteam to perish should it reach zero. You'll therefore have to make sure to kill the Royal Beast quickly, and repeat this entire process until every Royal Beast scattered around the area has been killed. It's vital that you stay in contact with your Fireteam during this challenge, as not being spotted while making your way to the flowers is key, or the timer we mentioned earlier will begin. The fourth part of the Destiny 2 Leviathan Raid will test your teamwork and co-operation, and you effectively can't complete this section without talking among your Fireteam. At either end of this arena, two orbs will spawn, and two of your Fireteam have to pick them up, then finding themselves in a tunnel. At this point, the two tunnel runners will have to complete an obstacle course, having to jump through colored hoops. You can see which hoop to jump through by whichever one the orb appears in, and the runners will have to call out the position of the orb to the rest of their team outside the tunnel, so they can shoot the correct triangle and open up the hoop inside the tunnel for the runner. Once you're successfully through the tunnel, run straight back to the middle of the arena with the orb, and dunk it into the center of the map. Once you've completed this three times, your entire team should pick up orbs from the center of the arena, and find themselves all in the tunnel. You'll then have to make it through the obstacle course one final time, all taking turns to make sure each Fireteam members jumps through a hoop with an orb in at least once round the course. After your Fireteam make it through the course one final time, head into the center of the arena and deposit the orbs to bring a close to the Gauntlet section of the Leviathan Raid. In the final part of the Destiny 2 Leviathan Raid, Cabal Emperor Calus himself will finally appear before your Fireteam, and challenge you to one mega showdown. 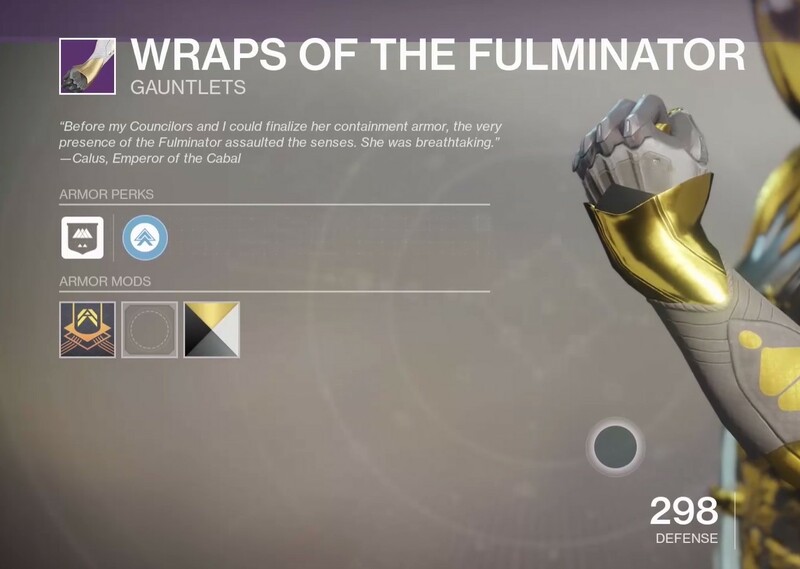 To start the fight, shoot the cup out of Calus' hand, and a horde of enemies will spawn into the throne room for you to deal with. Eventually, Calus will teleport half your Fireteam into a purple dimension, with the other half being left in the throne room to defend themselves. It's straightforward for the team in the throne room, as all they have to do is stay alive, and not kill any of the four Psions with symbols floating above their heads. As for the team in the purple dimension, they will have to shout out the symbol floating above the head of Calus to the team with the Psions, who then have to kill the Psion with the corresponding symbol above their head. 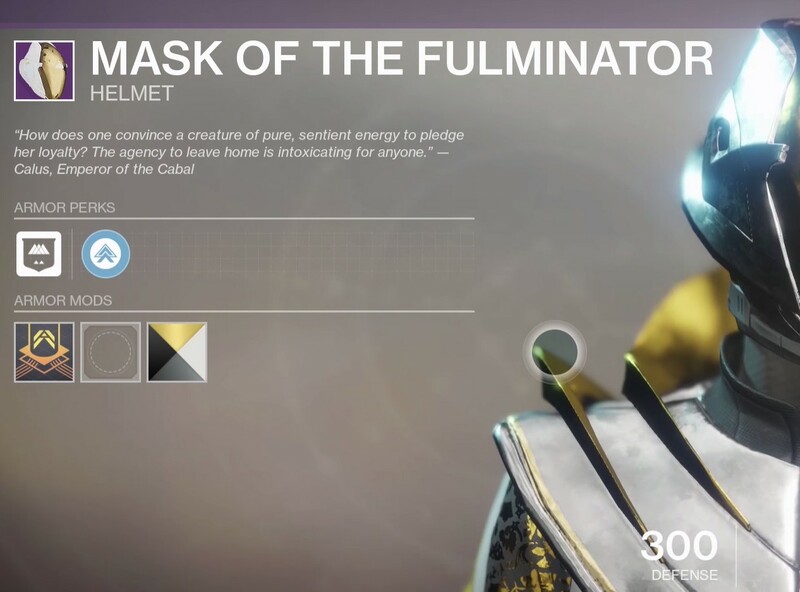 Repeat this process every time the symbol above the head of Calus changes, and the shield surrounding him will eventually go down. Now transport yourselves back to the throne room via the orbs, and regroup with the rest of your Fireteam, standing on top of whichever platform is glowing to activate the Force of Will buff. Shoot Calus until he comes invincible, and then head to the next glowing platform to take down his shield and shoot at him once again. You'll have to repeat the entire process above until Calus is eventually dead, which is no small feat. 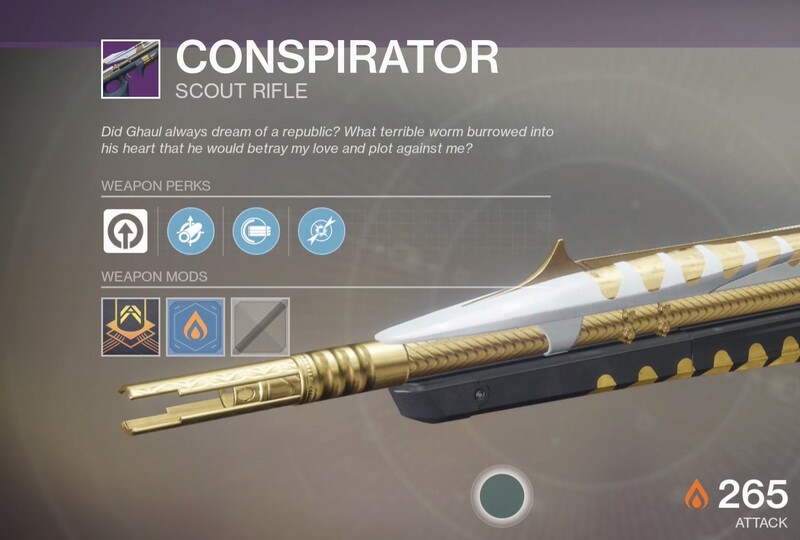 One of the main reasons for taking part in and trying to complete the Leviathan Raid in Destiny 2 is to get your hands on loot, in particular exotic weapons and exotic armor pieces. We'll detail how you get this look below. Once you've completed the Destiny 2 Leviathan Raid, a brand new NPC called Benedict 99 40 will appear in the Traveler social hub, located beneath Ikora Rey in the hangar. You can go to Benedict 99 40 to trade in the Emperor Calus Tokens that you earn after you clear each of the above sections in the Leviathan Raid. 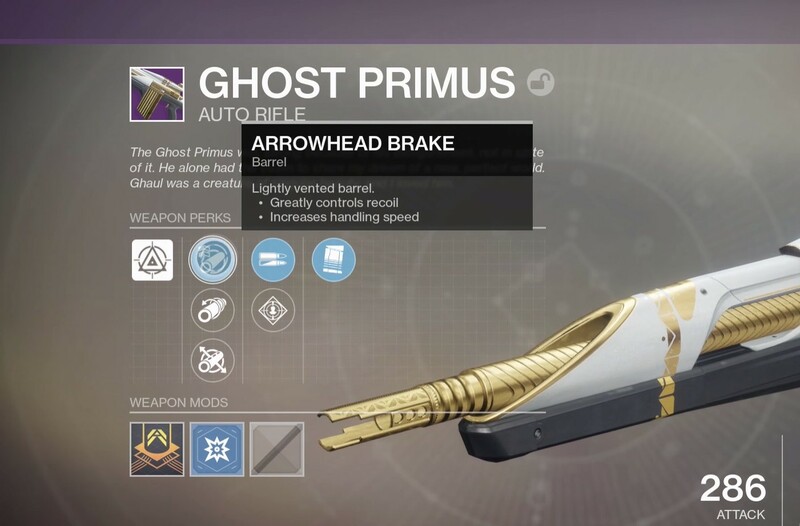 Although you will have to beat the Raid once to unlock the ability to trade with Benedict, you can head back to him again even if you fail the Raid in the future, as you'll still be rewarded with Emperor Calus Tokens for any stages you clear. Here’s a list of all the the loot items we’ve seen so far from the Destiny 2 Leviathan Raid, including items you can both purchase from Benedict 99 40 in the Traveler after beating the Raid, as well as items you can find for yourself while undertaking the Raid. 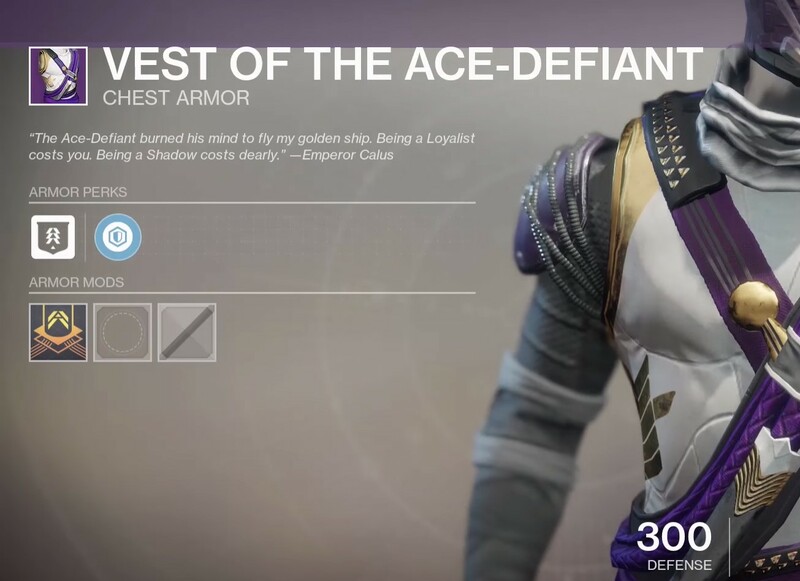 Now that we're through with all the Exotic weapons you can obtain from the Destiny 2 Leviathan Raid, see below for a list of all of the Exotic armor items we know of so far. 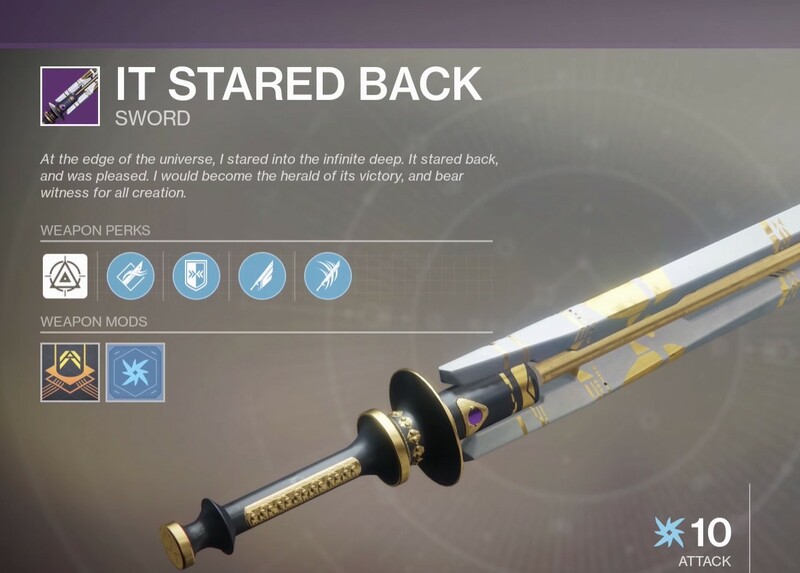 As the Destiny 2 Leviathan Raid has only just launched worldwide, we haven't been able to gather a complete list of every Exotic weapon and armor item you can unlock from the Raid. Check back on this page in the future though, as we'll be continually updating this list with any new items that we uncover.